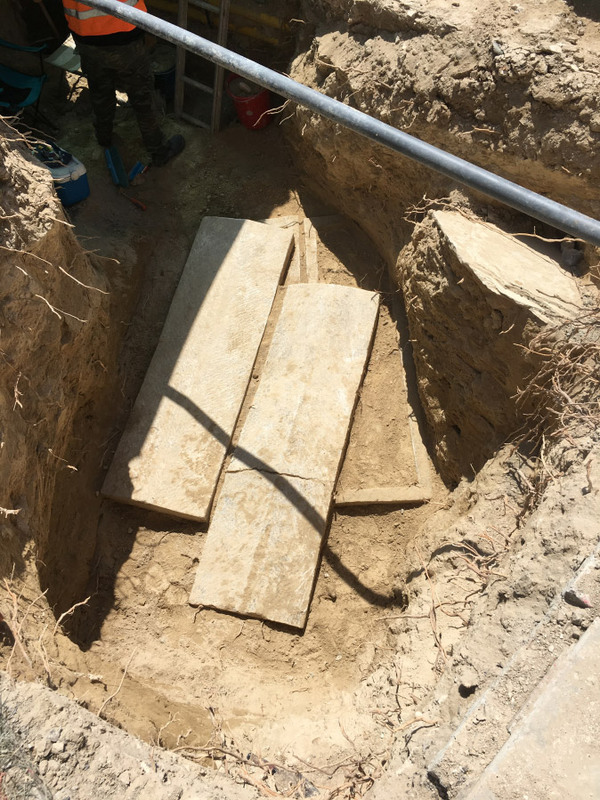 Cyprus Ministry of Transport, Communications and Works, Department of Antiquities, announces the results of the salvage excavations conducted in conjunction with the construction of the sewerage network of Larnaka in the period of 27th June 2016 to 31st October 2018. Throughout this period more than 110 tombs have been excavated and recorded, in a wide area of several kilometres, testifying to the presence of a vast necropolis, as well as to the architectural evidence for the city-kingdom of Kition. The dating of the tombs ranges from the Early Bronze Age to the late Roman period (4th century AD). The large majority of tombs are subterranean rectangular chamber tombs, carved in the natural bedrock, consisting of one or two adjoining chambers. The entrance to the tomb was via a sloping corridor or a carved staircase. Sometimes, niches were carved on the walls of the corridor, possibly to place offerings for the deceased. Every time a burial was placed inside, the stomion (the point-of-entry into the chamber), was sealed either with a gypsum slab or with stones. These tombs were used for collective burials and in most instances, appear to have been used for centuries. They are characterized by the wealth of the finds consisting of utilitarian/storage vessels and fine wares and also items of personal adornment made of gold, bronze and semi-precious stones. 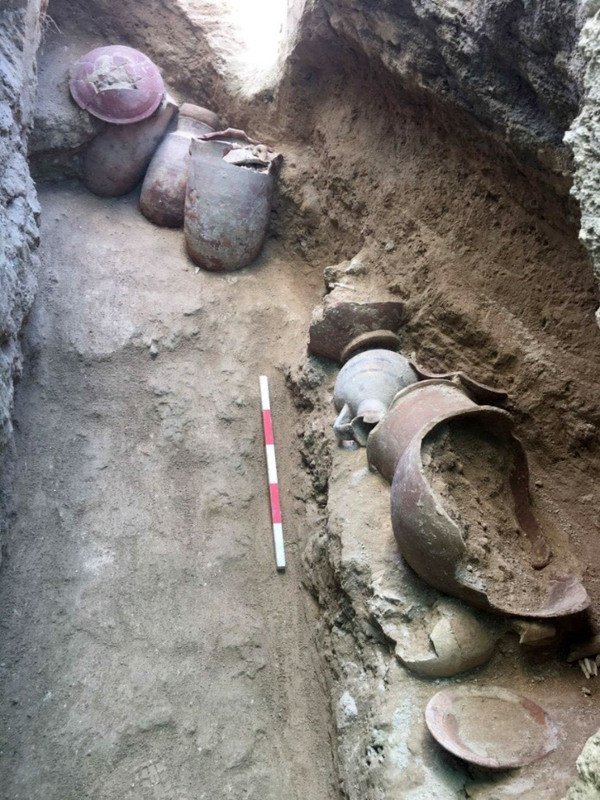 The excavations in Archbishop Kyrillos II Street brought to light two tombs that date to 2,500 BC. They are of vital importance for the city since they provide evidence for the use of St John’s Quarter in the Early Bronze Age. Unique finds of Geometric date were unearthed in two chamber tombs in Empress Theodora and Esperidon Streets. The wealth of the finds and the remarkable craftsmanship of the vessels are worth noting. 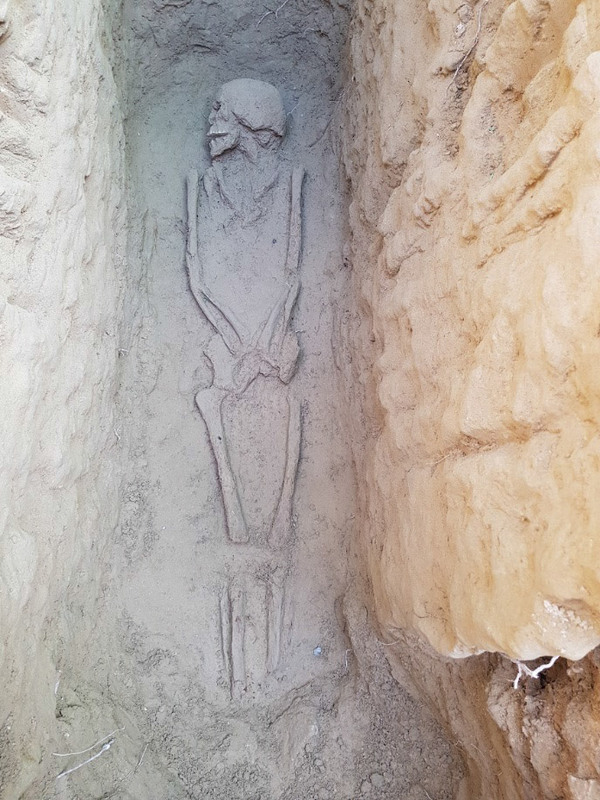 One type of tomb dating to the Hellenistic period that has been attested for the first time in Kition (a known type in Nea Pafos and Kourion), was excavated in Ali Dede, Sittika Hanoum and Derbis Yusuf Streets and in the Hamit Bey Square. A total of more than 47 ‘mnima’-type tombs were recorded in this area. The cist tombs were used for single inhumations, usually with very few finds or without any at all. Simultaneously with the excavation of the necropolis of Kition, further work was undertaken in the nucleus of the ancient settlement, the Chrysopolitissa Quarter, which revealed the urban topography of the Hellenistic and Roman periods. 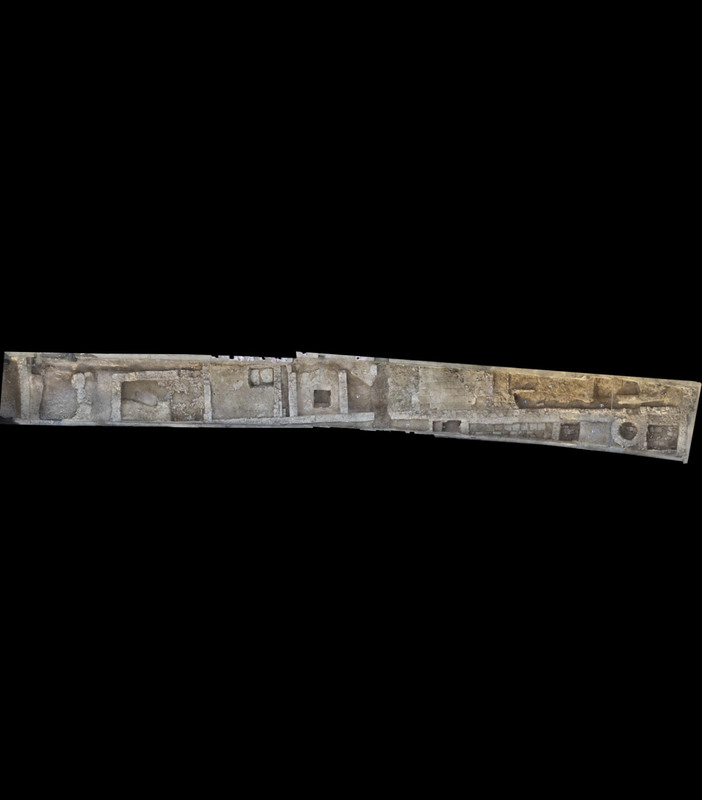 The number of statuettes found at Tefkrou Street, in conjunction with elaborate walls, leads to the conclusion that the foundations belong to a sanctuary spanning the Archaic through to the Hellenistic period. 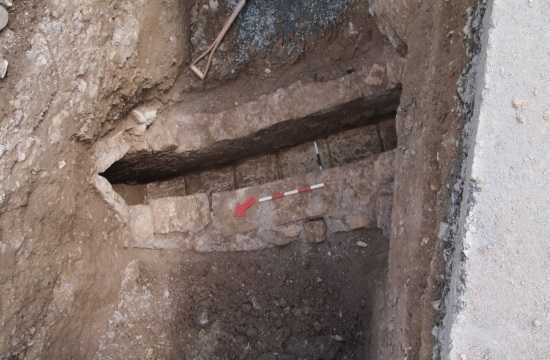 The urban nucleus of Kition was revealed, in Kyriacou Matsi and Kimonos Streets, while walls possibly of public buildings were found in Chrysopolitissa Avenue. Clay pipes of the Hellenistic period, running along the same avenue, must be associated with the water network of the city. Impressive underground water channels, carved on the natural bedrock, were found at Michali Partella Street. These impressive structures, that extend for several kilometres in the Chrysopolitissa Quarter, testify to the importance given to water as a natural resource by the inhabitants of the city. An extensive part of the Sewerage contract C12 covers the heart of medieval Larnaka. The excavations carried out on St Francis of Assisi Street uncovered a monastery dating to the end of the 15th-16th century. Foundations of small adjoining rooms were found, divided by a single wall running across the north-south axis with a parallel horizontal narrow corridor on the western part of the building and other vertical corridors that secure private access. These rooms may be identified with monastic cells of the Monastery of the Order of the Franciscans, mentioned in travellers’ accounts from 1546, as a stop/hospice for pilgrims on their journey to the Holy Lands. During the Ottoman period a water system of clay pipes was installed and regularly maintained in Larnaka. The pipes were inserted into a stone channel and they were protected with gypsum slabs on top. These features constitute a unique indication for the plan and road networks of the settlement. A subterranean part of the Bekhir Pasha aqueduct was located at St. Constantinos Street. It consists of a channel carved in the limestone that joins the visible part of the aqueduct. The above-mentioned excavations provided a unique opportunity to discover and document the development of the history of the city of Larnaca. They have revealed a city inhabited for more than 5000 years, one of the most prominent city-kingdoms in the Iron Age and a stop for pilgrims on their way to the Holy Lands during the Medieval period. The goal of the Department of Antiquities is to enable modern development to co-exist with the rich past of the city and to show that construction works of social importance, despite the short-term inconvenience caused to the inhabitants, has long-term and beneficial results.